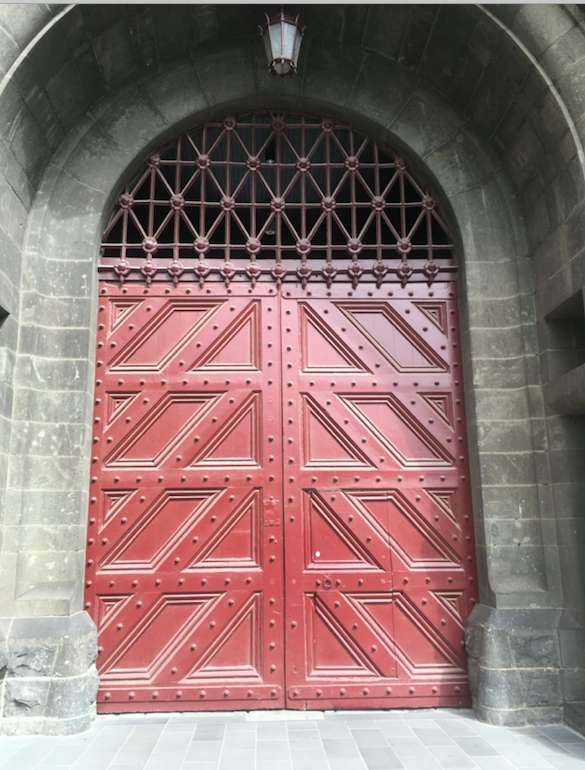 The RMIT analytics team is based in the old gaol! After the LAK conference in Sydney, I was invited to RMIT University in Melbourne by Pablo Munguia to meet the team and talk about learning analytics. The former OU pro-vice chancellor, Belinda Tynan, who took the lead on learning analytics at The Open University is now at RMIT, so it was really interesting to see how a similar implementation strategy is playing out at a different university. The priorities at RMIT are different – student retention is not a significant issue there – so their analytics are focused on students achieving their goals. I gave a presentation to the team on the future of learning analytics, which complemented a presentation by my colleague, Bart Rienties, on the practicalities and successes of learning analytics implementation. Learning analytics involve the measurement, collection, analysis and reporting of data about learners and their contexts, in order to understand and optimise learning and the environments in which it occurs. Since emerging as a distinct field in 2011, learning analytics has grown rapidly, and institutions around the world are already developing and deploying these new tools. However, it is not enough for us to develop analytics for our educational systems as they are now – we need to take into account how teaching and learning will take place in the future. The current fast pace of change means that if, in 2008, we had begun developing learning analytics for 2018, we might not have planned specifically for learning with and through social networks (Twitter was still in its infancy), with smartphones (the first iPhone was released in 2007), or learning at scale (the term MOOC was coined in 2008). By thinking ahead and by consulting with experts, though, we might have come pretty close by taking into account existing work on networked learning, mobile learning and connectivism. This talk will examine ways in which learning analytics could develop in the future, highlighting issues that need to be taken into account. In particular, the learning analytics community needs to work together in order to develop a strong evidence base grounded in both research and practice. This entry was posted on April 5, 2018, 11:10 am and is filed under Analytics, Educational Futures, Esteem, Events, Presentations. You can follow any responses to this entry through RSS 2.0. You can leave a response, or trackback from your own site.